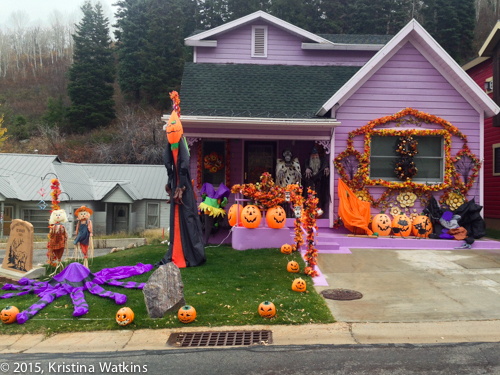 Halloween in Park City, Utah, is not a holiday to be trifled with. Perhaps you remember the Halloween Hoards of 2013 or Halloween 2014: The Candy Apocalypse. Evidence of our Halloween enthusiasm is present throughout town, but for me, Daly Ave. in Old Town shines the brightest. Some homes are adorable and charming. 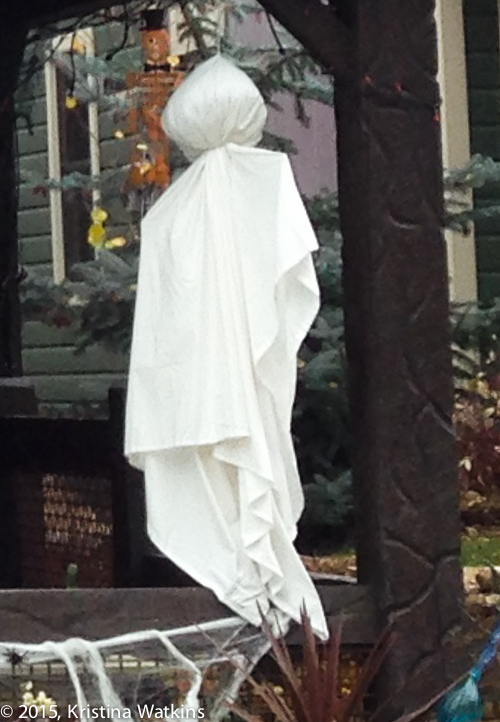 Classic sheet ghost, wailing in the breeze. 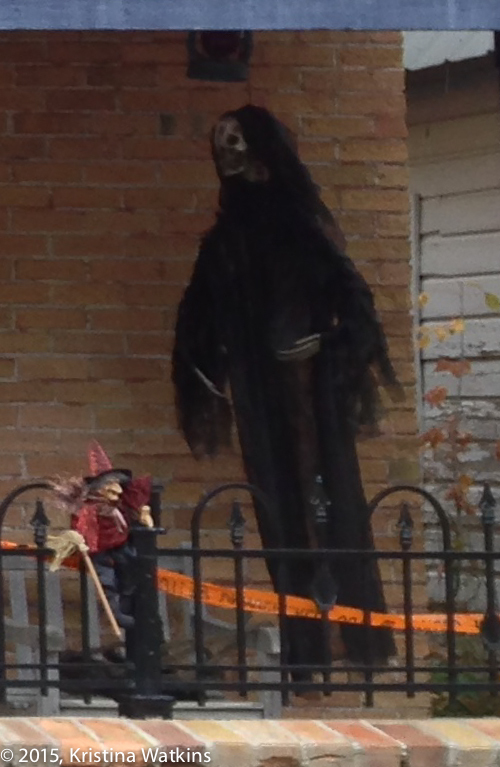 Spooky skeleton putting on the ritz. 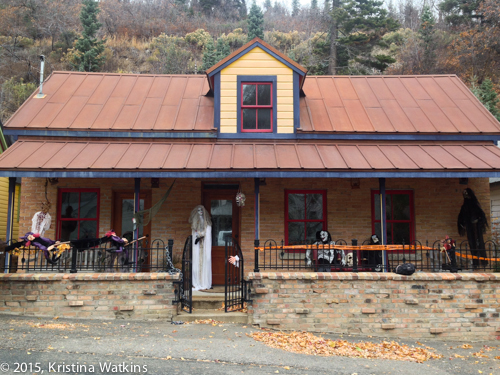 Some houses are decorated TO THE NINES. Pumpkins! Scarecrows! 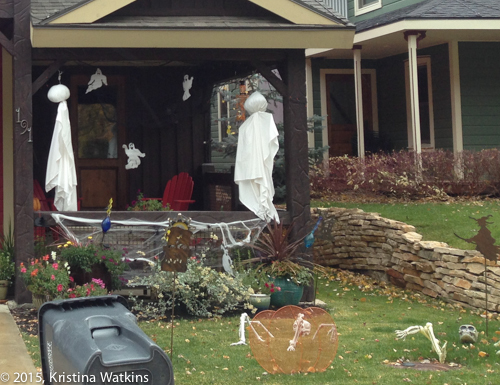 10-ft inflatable specters! Skeletons and wizards with interchangeable hands and somebody get me an interview with that pig. 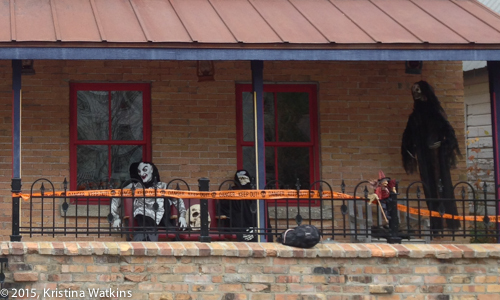 Nothing dresses up a home in the historic district like a “House of Horrors” theme. 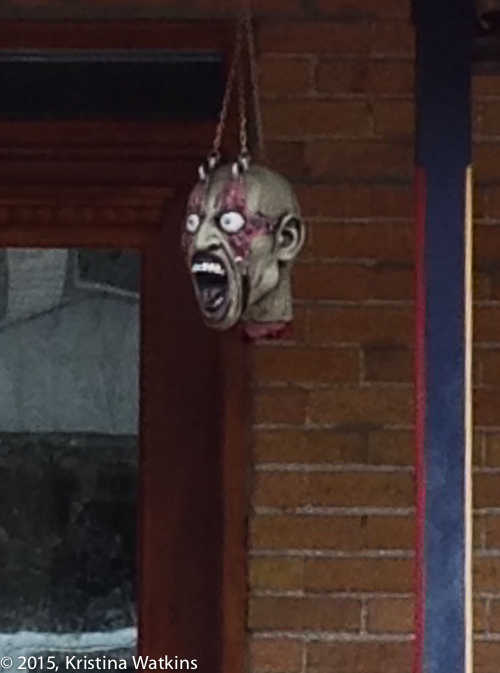 Is this how they make high-mountain shrunken heads or…? 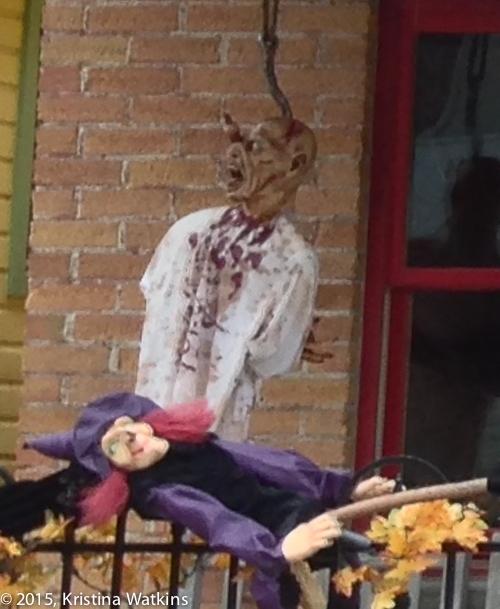 Is that a whimsical witch or the guy from “Saw”? The lady of the lake holding a dead…bird? For real, she looks like what is said to be drifting around an old mining town brothel site or something so I’m not about to go ask her what’s up. Speaking of which, can we talk about this “Unsolved Mysteries” guy on the far right? 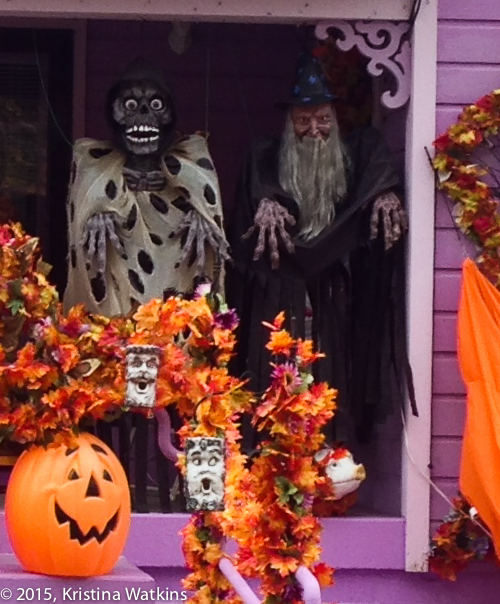 We go from Dracula dude with fake arms, to plastic skull, plastic rat, ha ha Trick or Treat. Never mind. Somebody just went fishing.